During the annual WIPO General Assembly which ended last week, the Asia and Pacific Group tabled a proposal to increase governing committee membership. The discussion about country representation is not new and as more developing countries join the two WIPO foundational treaties, it becomes more pressing. Meanwhile, WIPO legal texts do not provide enough guidance to settle the issue and some are saying it is all a matter of interpretation. At the heart of the issue is the WIPO Coordination Committee, one of the most powerful of the organisation’s governing bodies. The committee will play a crucial role in 2019, when it starts the process of calling for new candidates for the post of a new WIPO director general, and establish the procedure for his/her election. At the 2019 annual Assemblies (usually held in late September), the timetable for the director general election will be established. The WIPO director is elected for a six-year term. A 2013 WIPO document [pdf] detailing the procedures for the nomination and appointment of the WIPO director general in the last election provides some guidance on how the next process might go. According to the document, at least six months before the meeting of the Coordination Committee (known as the CoCo) convened for nominating a candidate for appointment to the post of director general, the chair of the CoCo sends a circular to all member states of WIPO, inviting them to propose a national candidate. This circular should specify the exact time and date of the deadline for submission of candidatures. That date shall be three months after the date of the circular, according to the document. Subsequently, the CoCo was convened to nominate a candidate no earlier than six months and no later than five months before the meeting of the WIPO General Assembly which is to appoint the Director General upon nomination by the CoCo, as detailed by the document. During the 2018 WIPO General Assembly, which took place from 24 September to 2 October, member states were unable agree on which countries should get several vacant seats on the Coordination Committee. The election cycle for the CoCo is every two years. The next election is in 2019. Member states sitting in the Coordination Committee (known as the CoCo) come from the Executive Committee of the Berne Convention for the Protection of Literary and Artistic Works adopted in 1886, and from the Executive Committee of the Paris Convention for the Protection of Industrial Property adopted in 1883. The Berne and Paris conventions are foundational treaties of WIPO. When members join either convention, they become members of the convention’s assembly. Each assembly then elects an executive committee, representing one-fourth of its members, which will form the CoCo. In addition, Switzerland, as host country, sits on the CoCo. Two other countries that are members of neither the Berne Convention nor the Paris Convention, but are of the WIPO Convention Establishing the World Intellectual Property Organization, are chosen to sit on the committee too. The WIPO website [pdf] lists current members of all of its committees and its governing bodies. Algeria, Angola, Argentina, Armenia, Australia, Austria, Bangladesh, Belgium, Brazil, Burkina Faso, Cameroon, Canada, Chad, Chile, China, Colombia, Congo, Costa Rica, Côte d’Ivoire, Cuba, North Korea, Denmark, Djibouti, Dominican Republic, Ecuador, Egypt, El Salvador, Eritrea (ad hoc), Ethiopia (ad hoc), Finland, France, Gabon, Georgia, Germany, Guatemala, Hungary, Iceland, India, Indonesia, Iran, Iraq, Ireland, Italy, Japan, Kazakhstan, Kuwait, Kyrgyzstan, Lithuania, Luxembourg, Malaysia, Mexico, Morocco, Mozambique, Netherlands, New Zealand, Nigeria, Norway, Oman, Panama, Paraguay, Poland, Portugal, Republic of Korea, Republic of Moldova, Romania, Russian Federation, Senegal, Singapore, South Africa, Spain, Sri Lanka, Sweden, Switzerland (ex officio), Thailand, Togo, Turkey, Uganda, United Arab Emirates, United Kingdom, United States of America, Uruguay, Venezuela , and Viet Nam (83). Eritrea and Ethiopia are the two ad hoc CoCo members which are neither members of the Berne or the Paris Convention. As new members join the Paris and the Berne conventions, new members should be elected to the respective executive committees of the conventions, and thus at the CoCo. Elections for the CoCo are set every two years, the last one was in 2017. At the last election in 2017, there were 4 vacant seats. At the next election in 2019, there might be more, depending on how many countries join Berne or Paris. In 2011, the CoCo had 83 seats, in 2013 it should have had 84 seats, in 2015 85 seats, and in 2017, 87 seats. If elections were to take place this year, the CoCo should include 88 seats. The membership of the Coordination Committee is established at the ordinary sessions of the WIPO Assemblies, according to a General Assembly document [pdf]. At the 2018 General Assembly, no agreement could be found on the issue. Informal consultations will be conducted by General Assembly Chair Ambassador Duong Chi Dung from Vietnam with the aim of reaching a decision at the 2019 General Assembly. According to an annex to the proposal (Allocation of Seats in the CoCo among Regional Groups for Biennium 2018-2019), Group B (the developed countries at WIPO) has 32 members and 23 seats. Africa has 53 members and 19 seats, and the Asia and Pacific Group has 44 countries and 15 seats. Meanwhile, since 2012, out of 16 new accessions to the Berne and Paris conventions, 12 came from the Asia and Pacific Group, 3 from the African Group, and 1 from the group of Central Asian, Caucasus and Eastern European Countries, according to the proposal. Lao (Dec 2011); Vanuatu (Sept 2012); Mozambique (Aug 2013); Kuwait (Sept 2014); Burundi (Jan 2016); Turkmenistan (Feb 2016); Sao Tome and Principe (Mar 2016); Niue (Jun 2016); Tuvalu (Mar 2017); Kiribati (Oct 2017); Afghanistan (Mar 2018); and the Cook Islands (May 2018). Members of the Paris and Berne Assemblies elect the countries that will sit on the two conventions’ executive committees, as explained in a WIPO document [pdf], part of the General Assembly documents. The Asia and Pacific Group proposal, which has been supported by a number of developing countries, is built on the language contained in Article 14 (Executive Committee)(4) of the Paris Convention and Article 23 (Executive Committee)(4) of the Berne Convention. Both articles are almost identical and refer to the election of the members of the Executive Committee of each convention. Delegates taking the floor during the General Assembly last week had differing takes on this language. Developing countries insisted on the equitable geographical distribution, while developed countries said that an equally important factor was the number of WIPO treaties countries had ratified and their degree of engagement with the organisation. 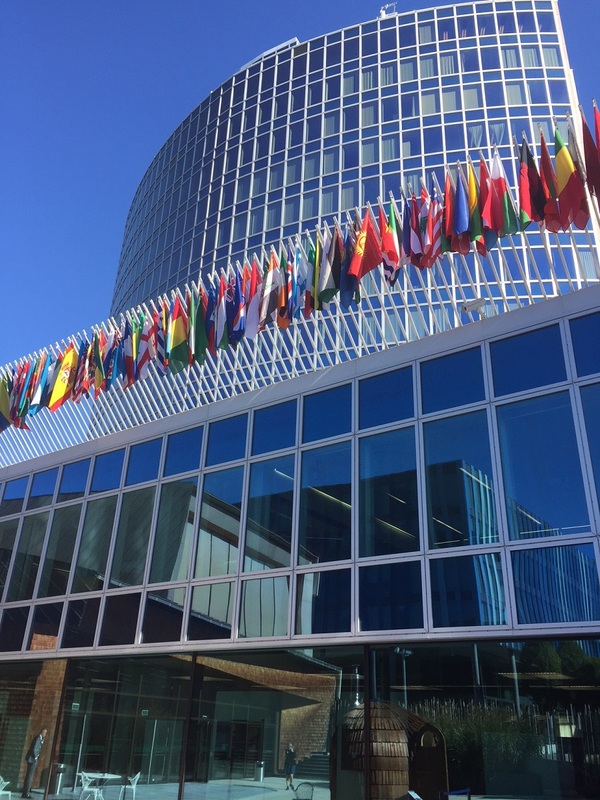 "WIPO’s Coordination Committee Seats And The Election For Next Director General" by Intellectual Property Watch is licensed under a Creative Commons Attribution-NonCommercial-ShareAlike 4.0 International License.